When Adam Freeland released his pioneering 'Coastal Breaks' mix album in 1996, it signaled a new era in dance music, putting the break beat sound center stage. What had been a relatively small scene suddenly found itself at the heart of the media spotlight, hailed as the future of dance music with club nights such as Friction and Air leading the way. 8 years later the New Skool Breaks sound has spread all over the world with Adam continuing to contribute to the scenes progression and development. Born in Hertfordshire in 1973, like James Lavelle of Mo' Wax Records, Freeland rose to prominence as a dance music wunderkind, becoming a highly successful, DJ, remixer, club promoter and record label boss while still in his early twenties. Originally a deep house DJ, Freeland became known for seamlessly blending hip-hop and electro into his sets. In time he started exploring a new style of break beats made up from a eclectic range of influences including techno, drum 'n' bass and world music. His breakthrough came in 1996 when he caused a massive sensation across Europe with his legendary release, Coastal Breaks on Avex/Distinctive. In 1997, he kicked off a successful night, "Friction", in Soho, London with DJ friends, Rennie Pilgrem and Tayo. The whole big beat movement, lead by Skint and Wall of Sound, was exploding at the same time and it started getting a lot of media attention. Music Adam now describes as 'Old Skool stuff'. The now industry standard term, 'Nu Skool Breaks', was conceived when Adam, along with partner Rennie Pilgrim, were trying to think of a way to describe the music they were playing on their flyer. In the same year, Adam also released a single with his friend Kevin Beber, "Number 43 With Steamed Rice Please" under the name Tsunami One. The popularity of the track in the clubs led to remix work from the Orb, DeeJay Punk-Roc, Headrillaz and Orbital, gaining Adam respect from many of the UK's top DJs such as Carl Cox, Sasha, the Chemical Brothers and Andy Weatherall. 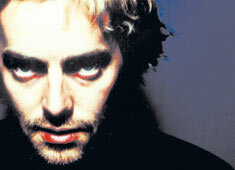 In 1998, Adam moved to Brighton where he established his own label "Marine Parade". While he worked hard to develop a quality roster by signing up the likes of Beber and Evil Nine, the labels first success came from the smash hit single "Hip Hop Phenomenon", a collaboration between US based producer BT and Tsunami One. Owing much to this and subsequent releases, the label had already achieved a high profile just 2 years after its establishment, and was nominated for Best Independent Label at the Music Magazine awards in 1999. Fast forward three years, 2003. His bootleg 12 inch, "Smells Like Freeland", which bravely sampled Nirvana's grunge classic, had huge success, and was followed by another bootleg 12inch, this time vs. White Stripes, "7th Nation Freeland". New, daring and exciting these new tracks carried on with Adams style of not being afraid to try new things. Not surprisingly two hits didn't stop Adam's exploration of new sounds, he next surprised dance music fans by forming a REAL band with a live drummer, calling the project 'Freeland'. Their debuting album was released in September receiving rave reviews in media all over the world, while single, "Big Wednesday", was featured on soundtrack of Animatrix, and lead single "We Want Your Soul" scored global success. And it doesn't look like he's stopping in 2004. His earlier Japanese appearance made a massive impression on Japanese fans who've only just come around to the nu breaks sound. He has an upcoming release n the widely respected compilation series, 'Fabric Live', and continues his regular appearances at Fabric and clubs and festivals around the world.